One of the great things about living in Easton, Pa. is the history. 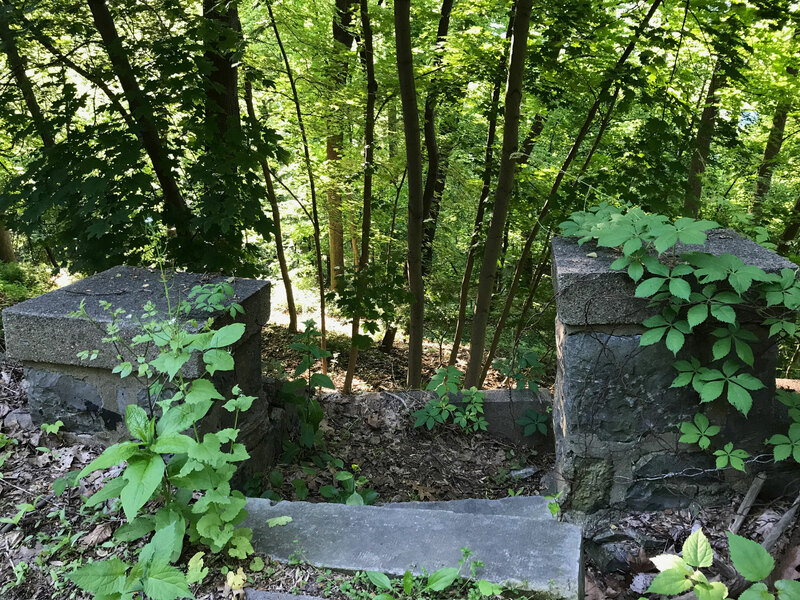 The area has been settled for centuries, so there’s all these great bits of history lying around, like old staircases that once ascended the hills surrounding College Hill. Old stone stairs lead to nowhere; the staircase they served is long gone (if it ever existed). Credit: Ken Newquist.